Simon Whittaker is a multi-percussionist based in the UK with many years of musical experience, having performed professionally with numerous orchestras, theatre companies and world music projects. Simon graduated with First Class Honours from Trinity College of Music, where he studied World Percussion with Salah Dawson Miller (3Mustaphas3, Justin Adams, The Wayward Sheikhs). His interest in the world’s folk music inspired him to travel to Guinea in 2011, where he learnt with master djembefolas Bangaly Kounbasa and Lamine Camara. 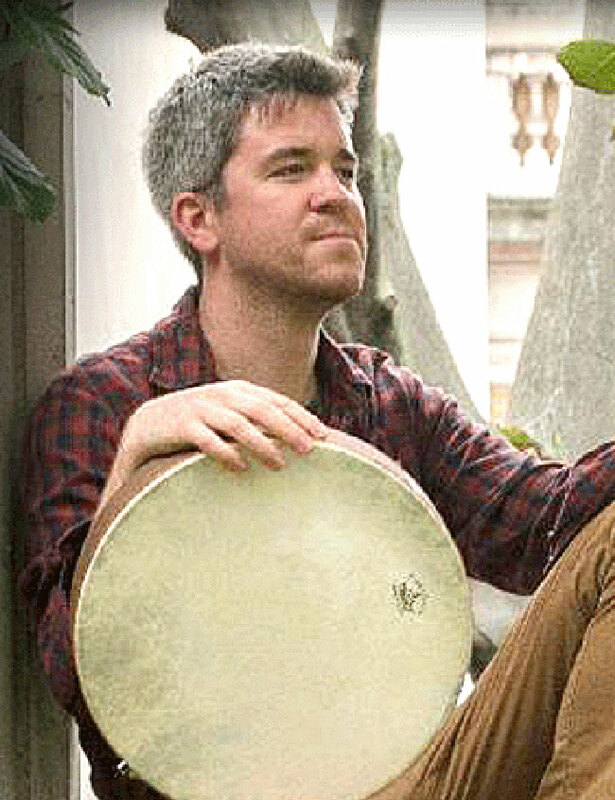 Simon has since toured Brazil with carnival samba band Rhythms of the City, performing alongside Monobloco and Sargento Pimenta, before co-founding the percussion group Talking Drum. On top of his performance work, Simon is a keen educator working extensively with a broad range of people and age groups. This has involved leading award winning youth ensembles, and he is now based at Bedales schools in Hampshire. Closer to home, he recently performed at Wykeham and Chichester Festivals 2017 with guitarist Rob Johnson. Simon frequently works with Emily Askew in Folk projects and Ceilidh events across the UK and abroad, and is looking forward to the 2017 tour of the new Emily Askew Band album ‘Alchemy’. He is currently reading Ethnomusicology at SOAS and in his spare time he likes mountain biking in the South Downs and playing with his two cats Spot and Moo. © Emily Askew. All rights reserved. 07986 572254. Site build: Dave Baker.